1080p resolution, higher resolution textures and more in store. Nordic Games has officially revealed Darksiders: Warmastered Edition, a remastered version of the first Darksiders for Xbox One, PS4, PC and Wii U. Like Darksiders 2: Deathnitive Edition, Darksiders: Warmastered Edition will sport a number of graphical improvements including native 1080p resolution, improvements in rendering, post processing effects, improved shadow rendering, 60 FPS gameplay (with the Wii U version running at 30 FPS) and texture resolutions doubled across the board. The remaster hasn’t been dated but it is “coming soon” according to Nordic so it can’t be that far off. 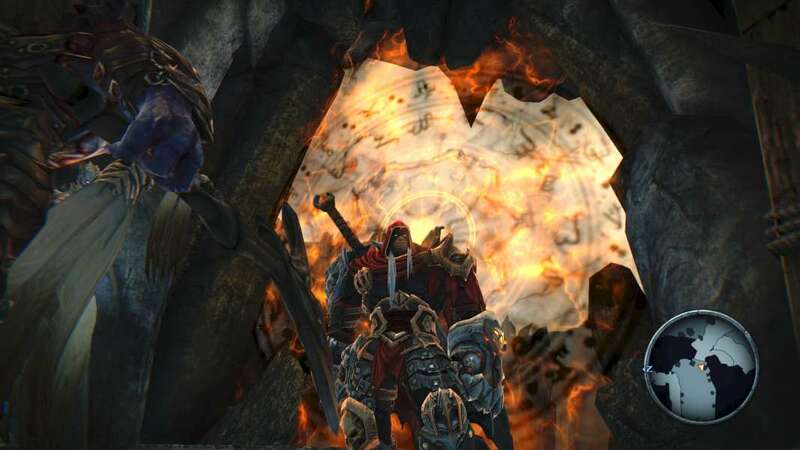 Darksiders focuses on War as he struggles with the Apocalypse (and the forces manipulating him from behind the scenes). Described as fairly derivative, Darksiders was still very well received for its time. Will the Warmastered Edition revitalize interest in the franchise, especially with Darksiders 3 rumoured to be in development? We’ll have to wait and find out but in the meantime, let us know your thoughts in the comments below.